This year, the National Board is awarding $8,000 each to three students who have met eligibility standards and are pursuing a bachelor’s degree in a qualified engineering curriculum or related studies. The recipients of the National Board Technical Scholarship for 2019 are Samia Sami, David Feigel, and Zechariah Mooney. Samia Sami is a senior pursuing a degree in electrical engineering at the University of Saskatchewan. Her expected graduation date is April 2020. Samia maintains a 3.9 grade point average. She is currently working as a student innovation and business analyst for Innovation Enterprise, as well as a student research interviewer at the University of Saskatchewan. 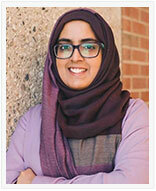 She is a peer mentor in the Engineering Learning Community, serving as a role model for first-year students at her university’s college of engineering. She also volunteers as a judge at Saskatchewan Elocution and Debate Association (SEDA) events. After completing her bachelor’s degree, she hopes to pursue a master’s degree in electrical engineering. Samia’s career goals include using her knowledge to make power systems more sustainable, economically feasible, and reliable. Her father is Commissioned Inspector Samiullah Ansari. David Feigel is a junior working toward a bachelor’s degree in mechanical engineering at the University of Illinois at Chicago. He is expected to graduate in spring 2021. David maintains a 3.3 grade point average. He graduated high school as a member of the National Honor Society and was recognized as an Illinois State Scholar. 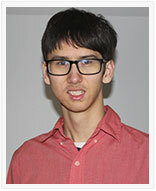 David is a member of the University of Illinois at Chicago American Society of Mechanical Engineers (ASME) Club. He has been involved in volunteer work in his local community at the Grundy County Food Pantry. Upon graduation, David plans to pursue professional engineer certification and intends to make today’s science-fiction machines into tomorrow’s prototypes. His father is Commissioned Inspector Greg Feigel. 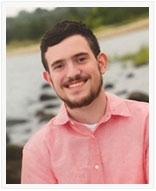 Zechariah Mooney attends the University of Massachusetts, Dartmouth, and is studying bioengineering. He is expected to receive his undergraduate degree in 2022. Zechariah upholds a 3.5 grade point average. He served an internship with Packaging Technology Group in 2018. He has been involved with the Boy Scouts of America for seven years, serving as senior patrol leader of his scout troop as well as earning the rank of Eagle Scout. Zechariah regularly participates in the worship ministry at his church and has participated in several mission trips, leading teams in building projects. After graduation, he would like to design and construct life-changing and life-saving devices. His father is Commissioned Inspector Mark Mooney.